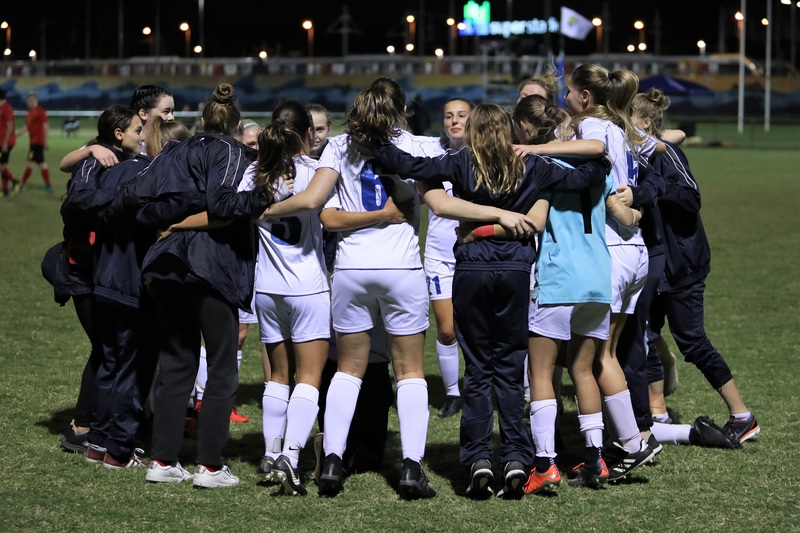 Michael Cook has stuck fast to his philosophy of providing opportunities to young players signing Chantelle Lloyd and Kijana Walker to his 2019 Women’s National Premier Leagues squad. The teenage defenders add youthful exuberance and enthusiasm to a team shaping up as contenders for a final’s push in the 2019 season. Lloyd (17) is no stranger to this level nor to Cook, the Cairns junior was a member of the all-conquering 2017 Peninsula Power women’s NPL outfit that the current United coach guided to success. “I am ecstatic with the opportunity to work with Chantelle again,” Cook affirmed. Walker (18) also hails from Cairns and was part of Cook’s 2018 Gold Coast United squad. A product of the Robina State High School’s Academy, Kijana has a strong futsal background and played her junior football locally with Mudgeeraba SC. After a break-out back end to season 2018 Cook is expecting Kijana to take her game to another level in 2019. “Kijana is a young player who is developing into a very good defender. Both players are excited about the season ahead and are keen to see where the squad can finish. For Lloyd, who completed her schooling this year at Cavendish Road High, the attraction to link again with Cook was the lure that brought her to the Club. While not overly familiar with the entire squad Chantelle has been welcomed and although it’s early days likes the ‘feel’ and the potential among the group. Walker meanwhile is happy to get another opportunity at this level and has plans to work even harder on her game in 2019. With the addition of these two talented young ladies to United’s 2019 WNPL squad the future is looking very bright. Reeves signing a boost up front!